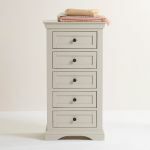 The Arlette tallboy is a compact and stylish storage solution for your home. 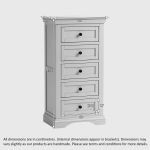 It features five drawers, styled with panelled detail, dark metal button knobs, and real dovetail joints for added durability. 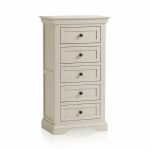 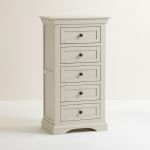 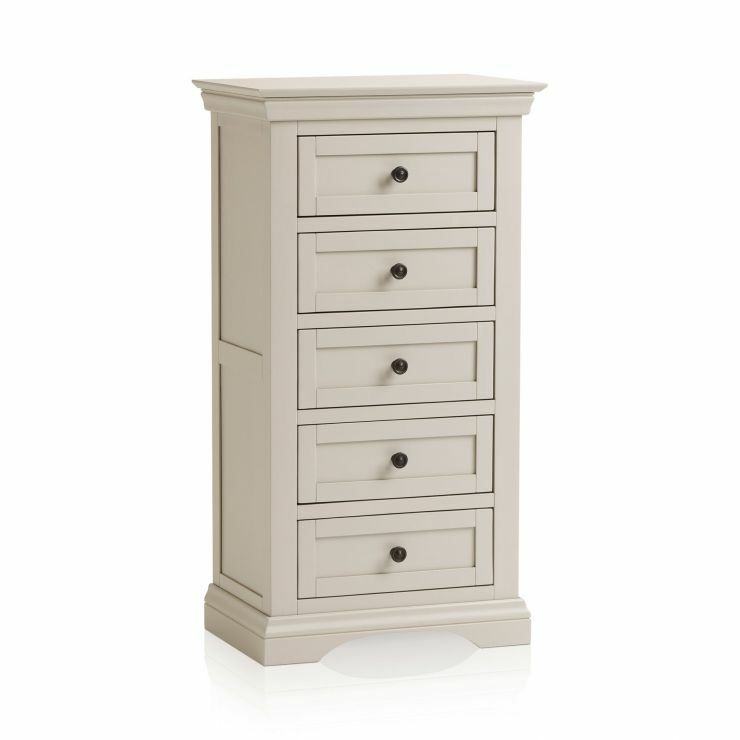 This tallboy has a delightful versatile mid-tone grey paint finish, and is made from solid hardwood, so it will safely store your belongings for years to come. 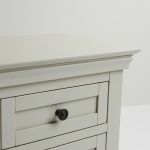 Arlette's signature design elements shine through in this piece, including the decorative cornices and the classic arched base. 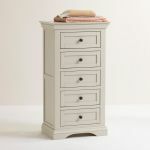 Add the tallboy to your bedroom, home office, or even into any small corners in your home to help boost your storage. 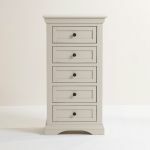 Browse other sophisticated versatile mid-tone grey painted pieces from the Arlette range today, all with free delivery to your room of choice!